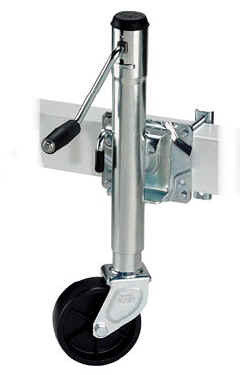 How High a Front Mast Stand Do You Need? 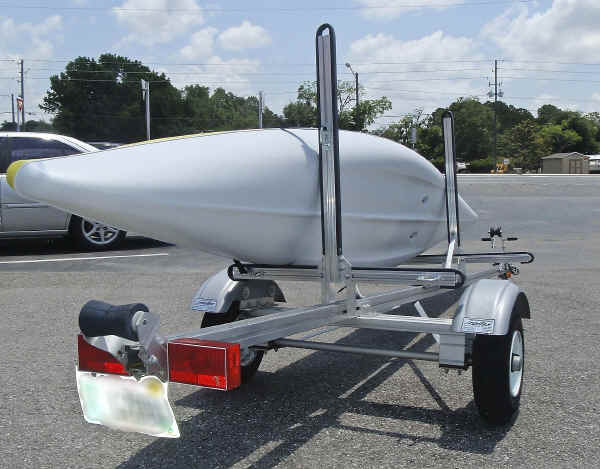 Tip--measure the the height from the top of your hitch ball to the top of your vehicle's roof to determine how high a clearance that you need. 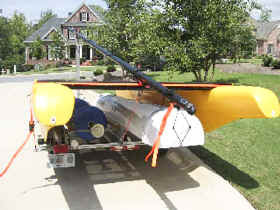 The rear mast carrier's height will determine the angle of your mast as it goes over your roof. 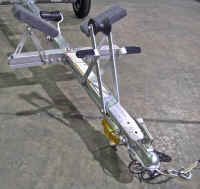 Mast Carriers are available in a number of optional arrangements. 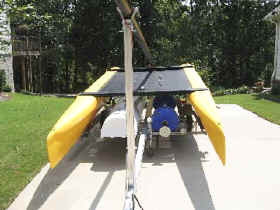 Aft Mast Carriers fit into the 3/8" pintle on the rear of sailboat transoms. 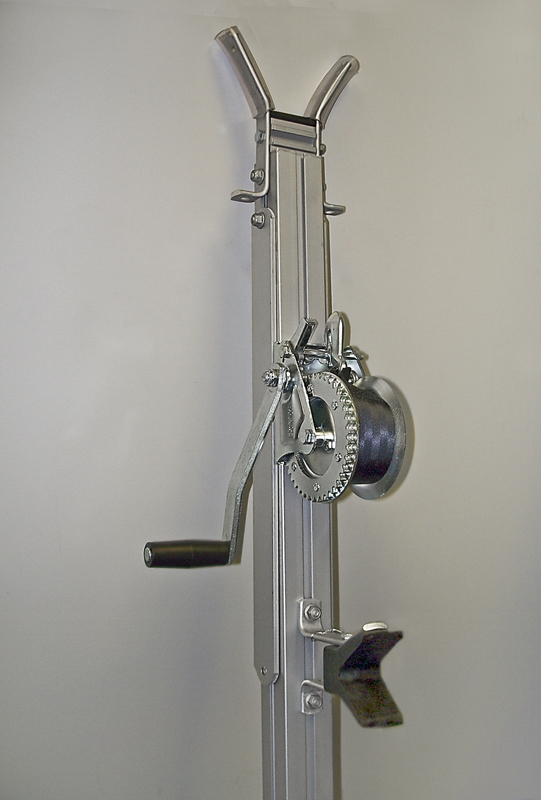 Available in sizes: 10", 16", 33". 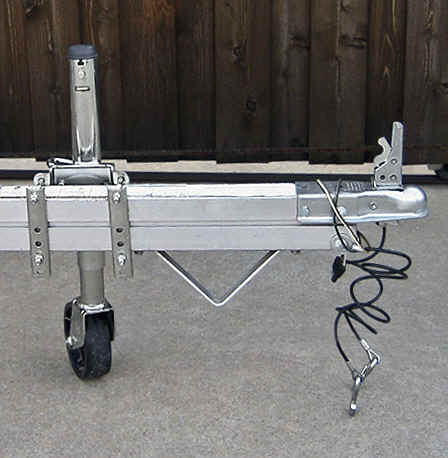 Deck Mount Mast Stands fit on the flat deck surfaces of sailboats, the four suction cup feet prevent marring or damage to the boat. 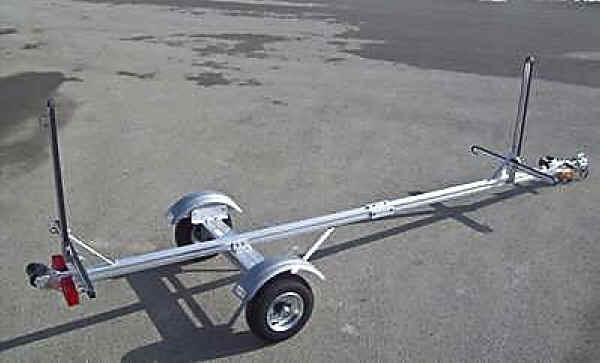 You tie the spars down to the boat or trailer and the pressure from the tied down spars hold the Deck Mount Mast Carrier in place - not the suction cup feet, which are only to prevent shifting and protect the deck. 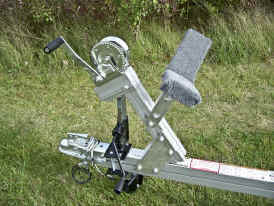 SMSK Set for Sunfish/ Laser Sailboats or similar sailboats uses 10" Aft Mast Stand with front Deck Mount Mast Carrier. 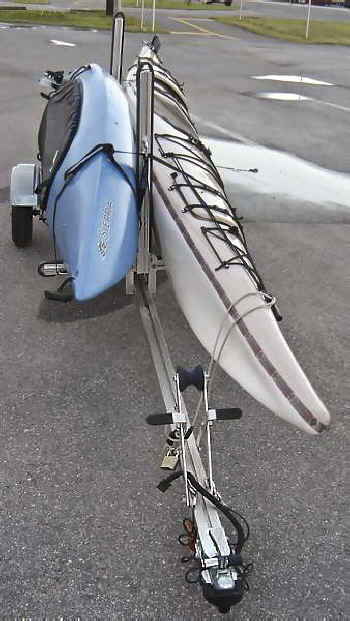 Will work with any similar style sailboat with 3/8" pintles. 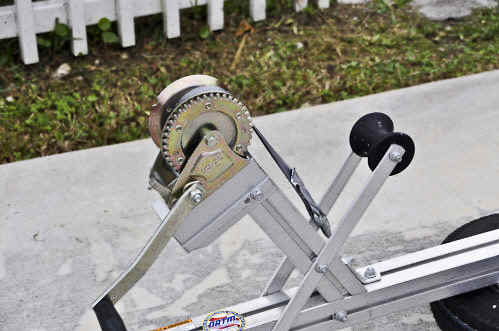 IMPORTANT NOTE: YOUR BOAT NEEDS A 1" INSIDE DIAMETER BOW-EYE OR RING TO TO FIT THE HOOK. Do You Need a Jack? 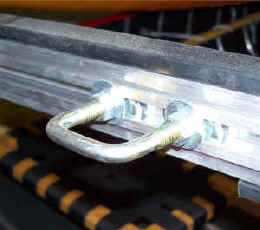 Optional Tie Down points for Web Straps or Bungee Cords - Use to add extra tie down points to secure boat. 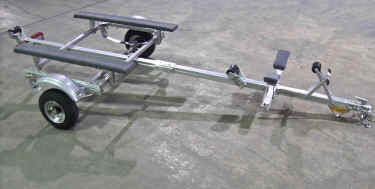 Easily adjusts to any position by sliding. 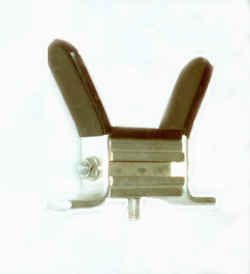 FWSC Option includes Four Sliding Square Eyebolts. 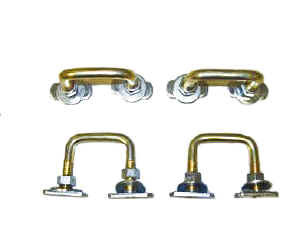 These can be installed on any side of a member on the unit that has a slot and then locked in place by tightening the nuts.